UPDATE: Cincy-Cinco events scheduled for Friday, May 4, have been canceled because of the weather. Saturday and Sunday events will go on as scheduled. CINCINNATI -- Now celebrating its 15th year, Cincy-Cinco is known throughout Greater Cincinnati for being a good time. But what many people might not know is that the three-day celebration of Latino music, food and fun also raises thousands of dollars for good causes. 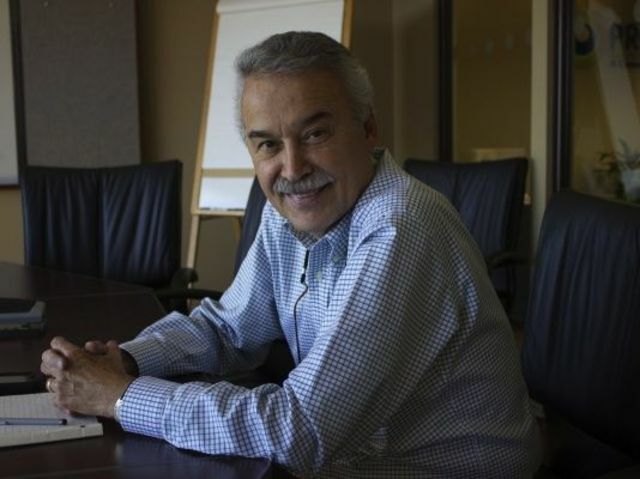 “After we pay expenses, all the money, 100 percent of the money goes to organizations that do Hispanic programs,” said Alfonso Cornejo, president of the Hispanic Chamber Cincinnati USA and the chamber’s foundation, called Hispanics Avanzando Hispanics . During the first 14 years of the festival, the foundation has given more than $400,000 to a number of local nonprofits that support the Tri-State’s Hispanic population in a variety of ways. One of those organizations is Santa Maria Community Services . Based in East Price Hill, Santa Maria has been serving residents of Cincinnati’s Price Hill communities for more than a century. The Sisters of Charity started Santa Maria in 1897 as a settlement house for the city’s Italian immigrants. In the 1940s, the nonprofit shifted to serve Cincinnati’s new residents moving from Appalachia. Over the past two decades, a growing number of Hispanic and Latino residents have moved into the Price Hill communities so Santa Maria started serving them in 2001 . The organization started receiving funds from Cincy-Cinco in 2005 and has gotten a total of $30,110 over that time, said Luz Elena Schemmel, Santa Maria’s immigrant services and wellness program director. 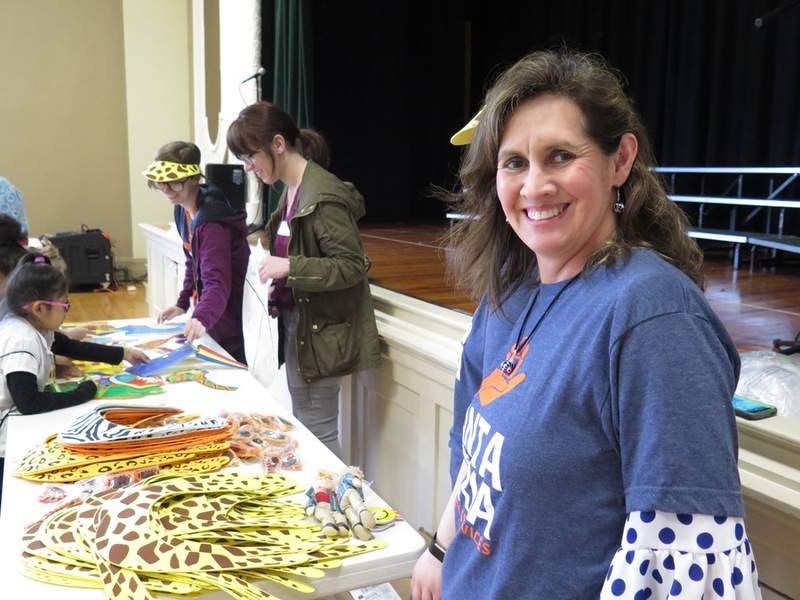 The money helps fund a health fair that Santa Maria organizes each spring and a kids’ health day held last month for students in kindergarten through fourth grade at Holy Family School. Luz Elena Schemmel during Holy Family School's health day on April 26, 2018. One table had an activity that showed students the proper way to brush their teeth, and another showed how to build a “healthy plate” filled with the colors that fruit and vegetables bring. “Those kinds of interactions are very important because they will be able to bring that information to their families, too,” she said. About 50 different providers were involved in Santa Maria’s spring health fair, which was aimed at families. It included such services as mammograms, cholesterol and blood pressure screenings as well as testing for hepatitis and HIV and vision and hearing screenings. Most of the organizations that receive funding from Cincy-Cinco provide services related to health because good health is important to everyone, Cornejo said. “Nobody wants to get sick,” he said. But even if raising money for charitable causes doesn’t make you want to head to the festival, organizers hope the fun they have planned will inspire you to be part of Cincy-Cinco’s quinceañera year. Cornejo said some girls plan to attend the festival in their fancy quinceañera dresses, and the girls that do will receive a $50 gift card from Macy’s. The festival will have a giant cake to celebrate its special 15th birthday, too, and some piñatas for the children. Cincy-Cinco also has dubbed this year’s festival “Tacopolis,” to pay homage both to Cincinnati’s Porkopolis past and the nearly universal love of tacos. Three food trucks and 10 restaurants will be preparing food to sell at the festival, but the focus will be on tacos, Cornejo said. Friday night will feature dancing on Fountain Square where an instructor will show visitors the moves before a night filled with dancing. 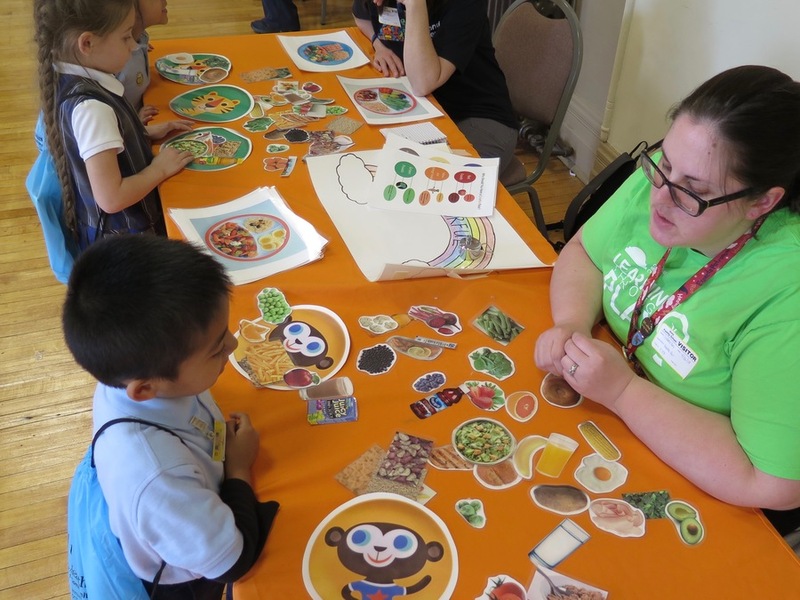 Students at Holy Family School learned the importance of building a healthy plate during a recent health day. And there will be a historical part of the event, too, with an art exhibit of 15 pictures related to the Battle of Puebla and an explanation about how Cinco de Mayo is a celebration of that battle, where the Mexican army fought and defeated a French invasion. Plus, the weather is supposed to be nice throughout the run of the festival, something that Cornejo said he has been praying for. Above all, Schemmel said, the festival will help everyone who goes to it get a better understanding of Latino countries and cultures. 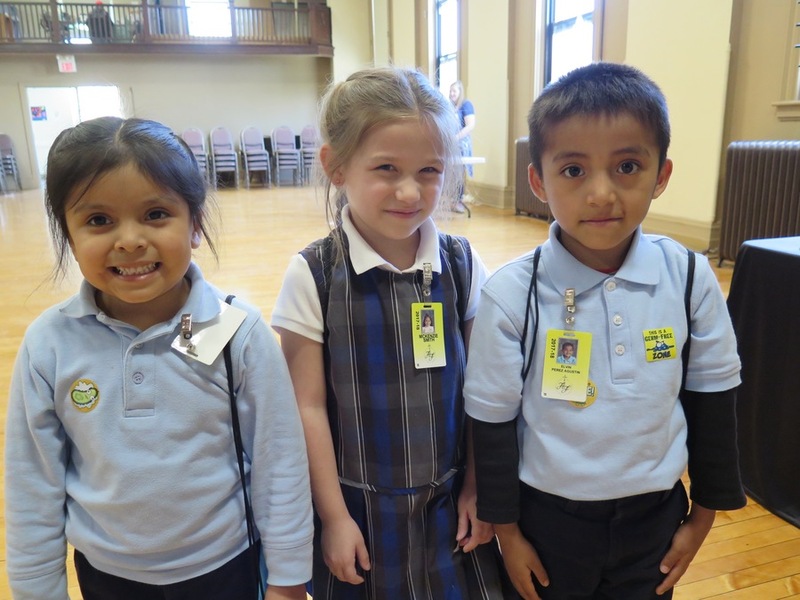 These kindergarten students were among the children at Holy Family School to take part in a health day sponsored by Santa Maria Community Services. The 2018 Cincy-Cinco festival runs from noon to 11 p.m. Saturday, May 5, and noon to 6 p.m. Sunday, May 6. More information is available online .